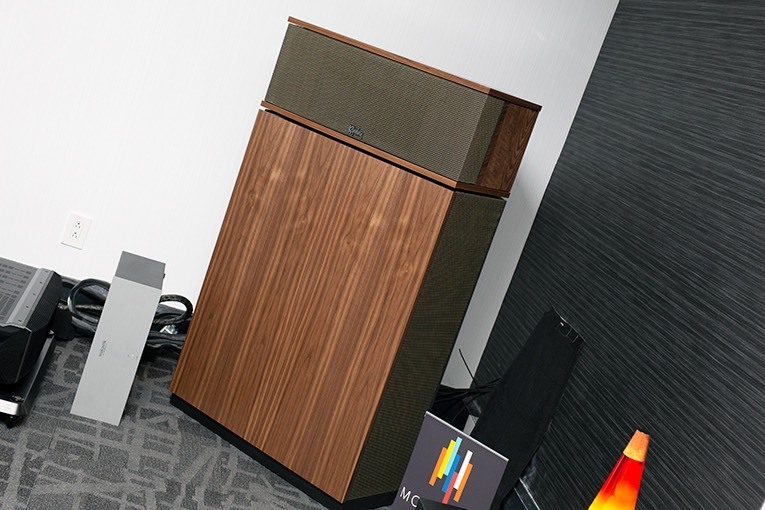 … The product at MAF 2019 most talked about among our reporters was Klipsch’s Klipschorn AK6 loudspeaker ($25,999/pair). The original Klipschorn debuted in 1946, and soon became a legendary speaker from a soon-to-be-legendary US brand. 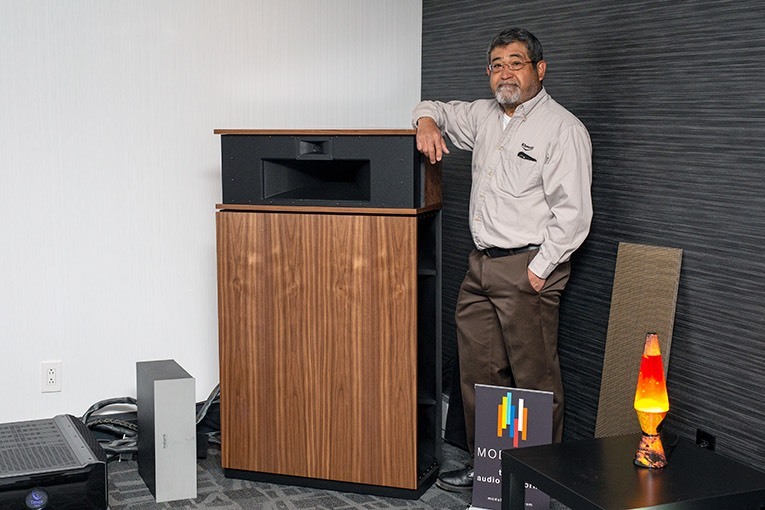 It was considered ingenious for the way founder and designer Paul Klipsch (1904-2002) mounted its 15” woofer in a cabinet designed to act as a large “folded horn” to acoustically amplify the woofer’s output. The Klipschorn’s front-mounted tweeter and midrange driver were also horn-loaded. The speaker was designed to be placed in a corner of a room, whose side and front walls then acted to effectively increase the length and size of the horn to further increase the woofer’s output -- all with no increase in amplifier power. All of this meant that the speaker’s sensitivity was sky-high, and that the flea-watt tube amplifiers of those pre-stereo, pre-transistor days could drive a single Klipschorn to very high volumes: a combination of lifelike sound-pressure levels and great dynamic range that, still today, few speakers can achieve.